This FLIPBOARD archive of a TRILOGY of stories is obviously dedicated to current comments and content primarily about our 45th POTUS. Upon even a cursory review, also obvious is that President Trump gets more than his share of negative press. But then, if you are on the side opposite the President, you may think that the negative press is earned. None of us is in a position to accurately observe what negativity is fair any more than we can fully understand the prevailing bias of the mainstream or the conservative press. What we do clearly know is that there is a difference, just as there are two main political parties in the US. The Washington Post – Karen Attiah – Nov 20 – That evening, The Post reported that the CIA had concluded with “high confidence” that Jamal’s Oct. 2 murder by Saudi agents in the kingdom’s consulate in Turkey was ordered by Saudi Crown Prince Mohammed bin Salman, the 33-year-old. ▶ ©answer ▶Flipboard is a news aggregator and social network aggregation company based in Palo Alto, California, with offices in New York, Vancouver and Bejing. 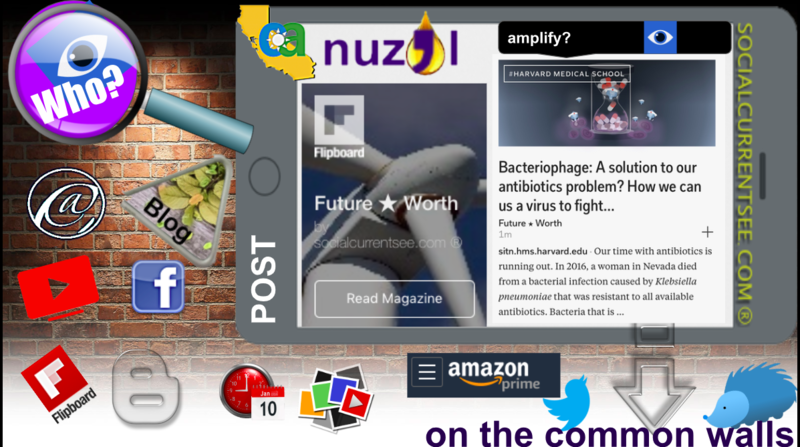 Its software, also known as Flipboard, was first released in July 2010. It aggregates content from social media, news feeds, photo sharing sites and other websites presents it in magazine format, and allows users to “flip” through the articles, images, and videos being shared. Readers can also save stories into Flipboard magazines. Q ▶ Do you use aggregation tools like FLIPBOARD? a website or program that collects related items of content and displays them or links to them. Read Mike Foxworth’s Newsletter on Nuzzel. Like with so many other subjects, education about essential oils may start with a social media search, as available in this FACEBOOK link. Here is a personal guide to using essential oils and aromatherapy for your health, home, and beauty regimen. ▶ a virus that parasitizes a bacterium by infecting it and reproducing inside it. As a long-term cancer patient in CR (continuous remission) since January 2010, my internal radar scans for information about immune system issues to fight infections of all types. After all, soon after my April 2006 diagnosis (DX) with mantle cell lymphoma (MCL), I learned that the root cause of lymphoma is inflammation (runaway growth of normal cells) within the lymphatic system. One of the most common families of drugs that are used to fight inflammation in the body is ANTIBIOTICS.